A few weekends back I went to a kid’s birthday party. It was a family friend and I was looking forward to it in the same way I look forward to all kid parties, though I confess I wasn’t expecting anything different or out the norm – but then out walked a Wacky Scientist. I didn’t recognize him at first, but on closer expectation I realized it was the Dad of the Birthday Boy. Marc Balanda, who recently became principal of Brookfield High School in CT, started his career as a General Science and Biology teacher, thanks to him he says his son has a genetic predisposition to scientific concepts, so he decided to tap into his old skills and put on an awesome birthday party. 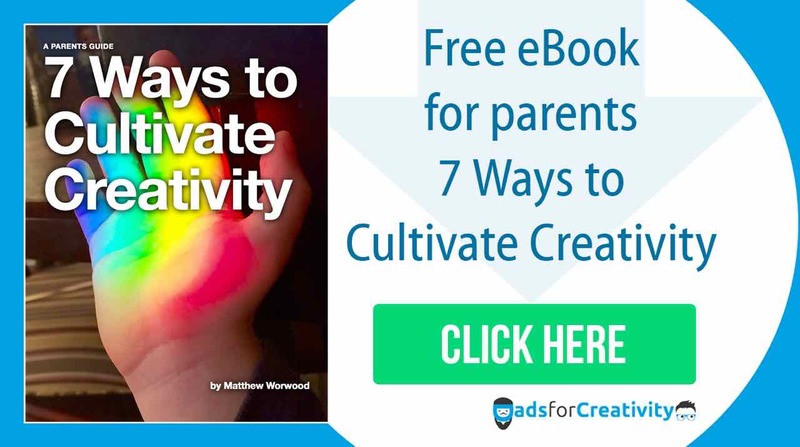 After seeing things explode, expand, and change color, I figured we need a DadsforCreativity 3 Question Interview on how parents can better promote science for kids. Why do young kids love Science? Kids are inherently curious about everything around them; they are always looking for answers to their questions. Children always ask “why” and in some cases adults don’t know how to answer. If it is a question about the natural world and the behavior of the things in it, Science gives them what they are so desperately seeking, an answer. That only spawns more questions, that lead to unanswered questions, and hopefully more investigation. It is hard for me to understand why adults don’t like Science more, it gives us something we are looking for, answers! Don’t forget to Follow us on Facebook! We want more likes! 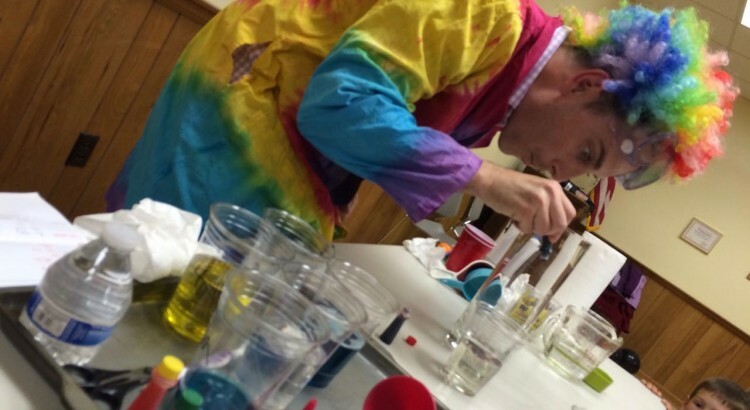 In what ways can parents engage young children in Science? It really doesn’t take much to peak a child’s interest in the natural and physical world. In many cases it doesn’t cost a thing. Engaging kids in talk about what you know, or if you are risky what you might not know, gets them to ask questions, hypothesize, and test solutions. Celery (w/leaves), food coloring, and water. You can have a conversation about how plants “drink”. Potato slices, salt, and water. You can have a conversation about osmosis. At bathtime, put a crumpled tissue in the bottom of a cup, flip it over, and submerge with a steady hand. Ask your child, what happens to the tissue? Slowly take it out of the water to reveal a dry tissue. Ask why that happened. Instant air pressure lesson! There are tons of links to at home science on the Internet. The more you show them, the more they want you to show them and do themselves. I have failed in my attempts to make a Volcano. I need help! Looking forward to trying this one. Ok – this question is for me. How do I make something explode like a volcano – I’m talking really REALLY big! It really depends on the concentration of hydrogen peroxide solution you have available to you. It will work with the usual brown bottle at your house but on a smaller scale. I went to a beauty supply store and got 40-volume hair developer which is roughly 12% H2O2 compared to the 3% in the brown bottle. The empty bottle has the hydrogen peroxide, food coloring (for effect), and dish soap (to increase bubbles made). Putting the yeast into hot water “activates” them (they are living organisms) and when they go into the hydrogen peroxide solution, then the magic happens. The yeast acts as a catalyst (speeds up a reaction) that causes the hydrogen peroxide to rapidly lose an oxygen molecule. 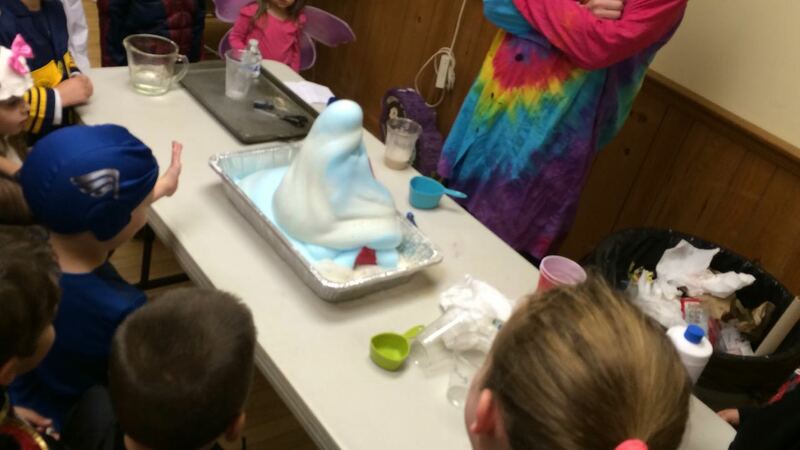 That molecule quickly rises through the dish soap (like blowing a bubble). Combine thousands of those reactions in a split second and you create the “volcano”. Interestingly, the decomposition of the oxygen from the hydrogen peroxide means a chemical bond is broken and the energy has to go somewhere. In this case, it is heat, which is why this is considered an exothermic reaction! Be careful with the hydrogen peroxide…it is a chemical that you don’t want to get on your hands or in your eyes. 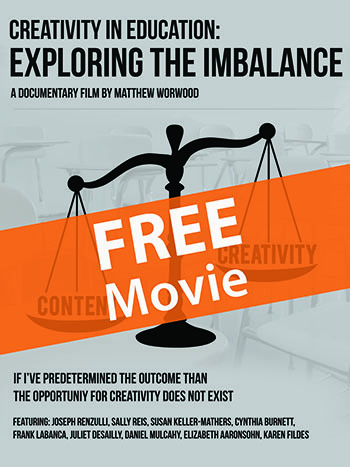 Creativity in Education: Exploring the Imbalance. is a documentary film that explores Creativity in education. To gain FREE access, simply comment below and we’ll follow up with a link and password.